With three official American Viticultural Areas (AVAs), 55 wineries and over 1,600 acres of grapes planted, Idaho’s popularity as a wine destination in the United States is growing. It helps that 30 of the state’s 55 wineries are located within 35 miles of Boise. 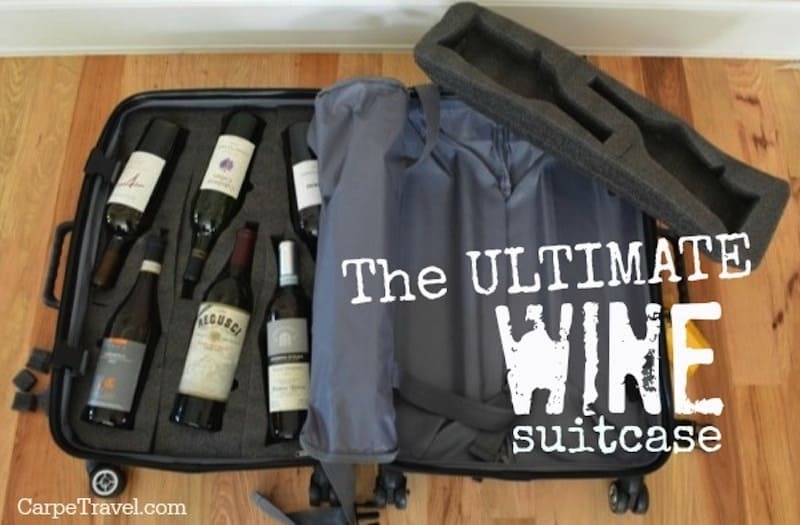 A quick business trip can easily be extended into a weekend wine getaway! Boise is in the heart of the Snake River Valley AVA, Idaho’s largest (and first) AVA. While the Sunny Slope Wine Trail is currently the only “officially marketed” wine trail in the Snake River Valley, there are other “wine districts” you should check out. 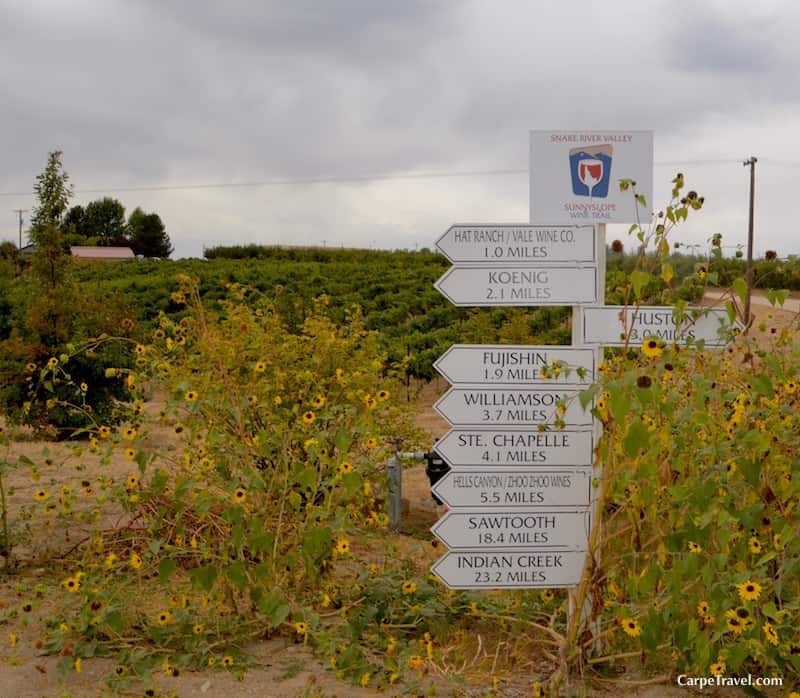 The Sunny Slope Wine Trail winds through vineyards, orchards and acres of mint. The views along the route are simply stunning and well worth the drive. 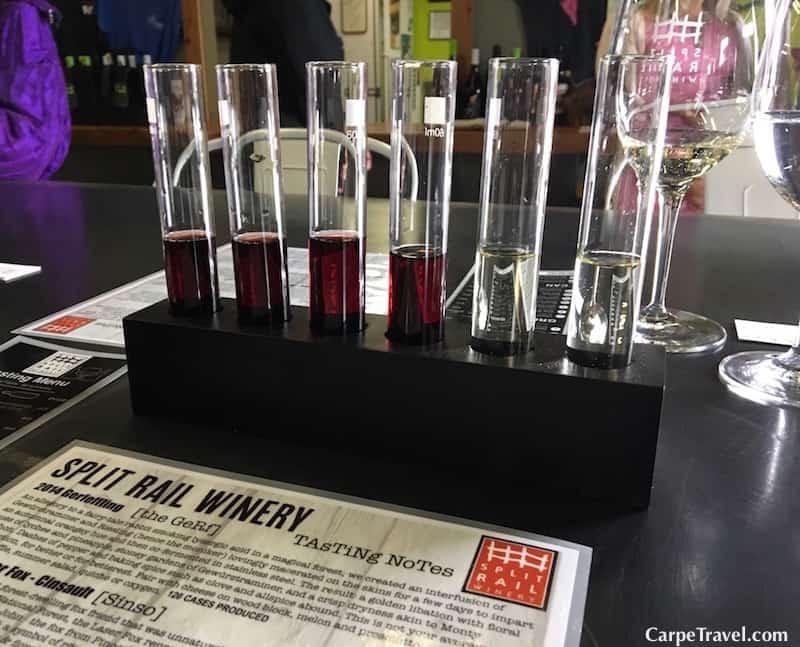 With 15 wineries on the Sunny Slope Wine Trail you’re sure to find some excellent spots for sipping. Don’t expect to be able to hit all 15 in one day, the rule of thumb is 3-5 a day with lunch in-between. From Boise, take I-84 to exit 33-A to start at Huston Vineyards, which is a must visit. I suggest you try (and buy) the 2014 Malbec and 2014 Private Reserve Chardonnay. Both wines were stunning! And, make sure to ask for them to tell you the story about how the road (and their wine) is named Chicken Dinner Rd. For a sneak peak you can get the details from Mary Huston, co-owner of Huston Vineyards right now. From Huston Vineyards I suggest you visit HAT Ranch Winery, Koenig Vineyards and Bitner Vineyards. This is a great map to help you route your Idaho wine experience on the Sunny Slope Wine Trail. Options are slim for wining and dining on the Sunny Slope Wine Trail. Either plan ahead and pack a picnic lunch or stop at The Orchard House, near HAT Ranch Winery. It’s open seven days a week serving unique seasonal and local fare for breakfast, lunch and dinner serving. One of the best options on the menu – all the wines from the Snake River Valley AVA. Ok, this isn’t the official name. In fact, as of this posting the only official name for this “urban wine district” is Garden City, which is actually a suburb outside of Boise. Garden City is home to 10 urban wineries, breweries and a great (adult) Cider company. If you’re just in Boise for a short time this is a great way to get a taste of several wines produced in Idaho. Albeit, you’re going to miss the vineyard views. What’s great about Garden City is you can literally park your car and walk to a handful of sipping spots. Telaya Wine, Coiled Wines, Cinder Wines, Split Rail Winery and Meriwether Cinder Company. 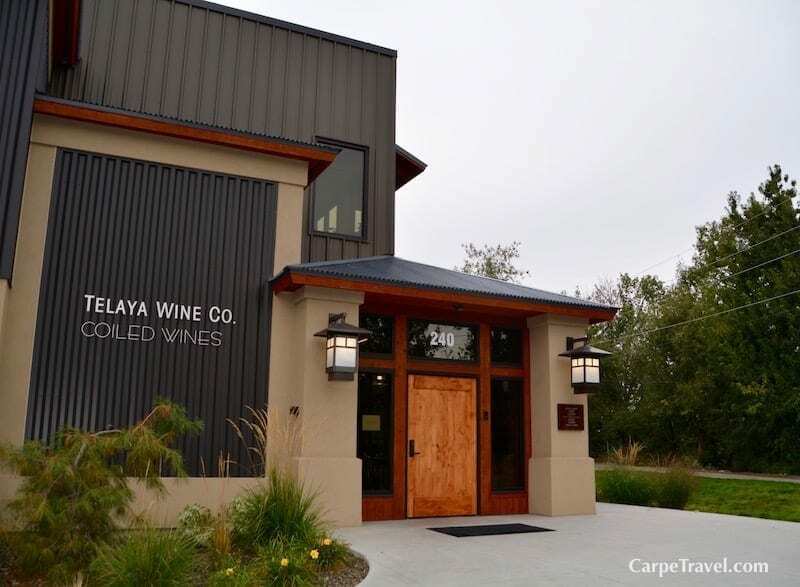 I suggest starting at Telaya Wine and Coiled Wines, the two share a building that’s home to both tasting rooms. 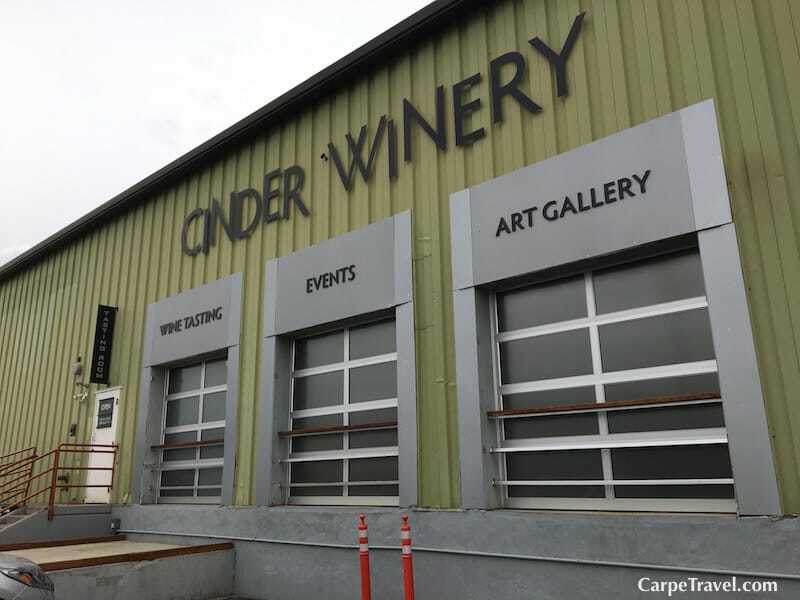 Then head over to Cinder Wines, Spilt Rail Winery and Syringa (you will have to drive to these but once there all three are walking distance to one another). If you need a palate cleanser walk over to Bella Brewing or drive up to Meriwether Cider Company for some Hard Cider and popcorn. 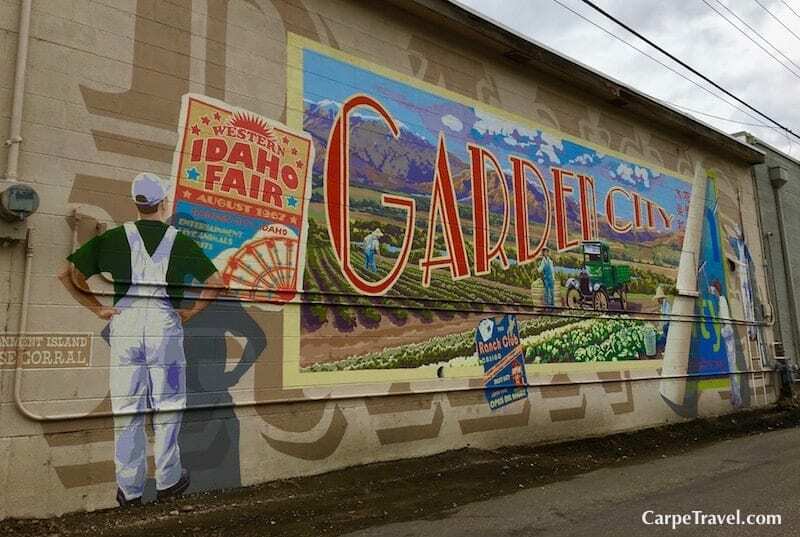 This is a great map to help you route your Idaho wine experience in Garden City. 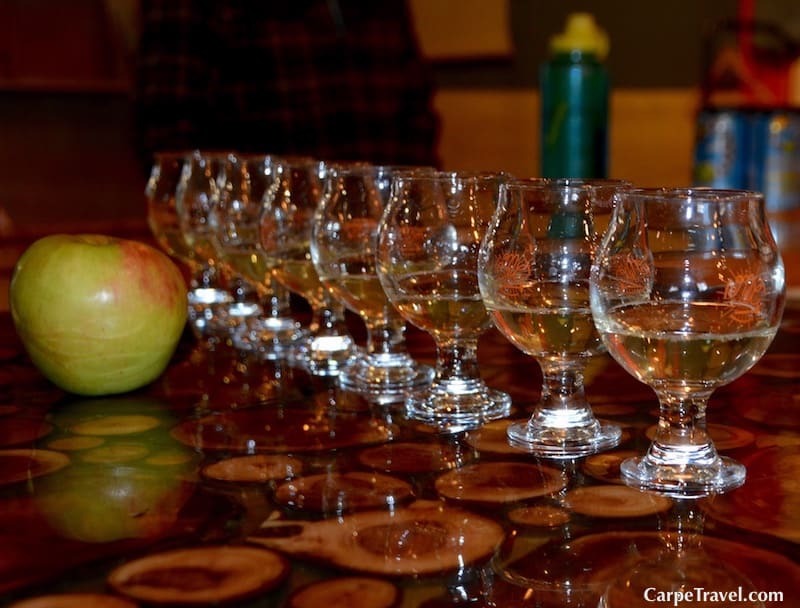 Meriwether Cider Company is know for its Hard Ciders. There are not a lot of choices near the urban wineries. I suggest grabbing a bite in downtown Boise (see below for suggestions) and then heading into Garden City. However, if you do the suggested route outlined above, you can walk over to The Riverside Hotel from Telay Wines to eat at one of its restaurants – The Sand Bar Patio Grill and Bar, The Sapphire Room, or the Riverside Grill. Or, you can grab a sandwich at Cobby’s, which is walking distance from Cinder Wines, Spilt Rail Winery and Syringa. If you end at Meriwether Cider you’re not too far from Cutter’s Grand BBQ, Barrelhouse Pub & Grill, and El Gallo Giro, but you will have to drive there. Looking for more tips and ideas for your Idaho wine getaway? Check out Carpe Travel’s Idaho Wine Guide.